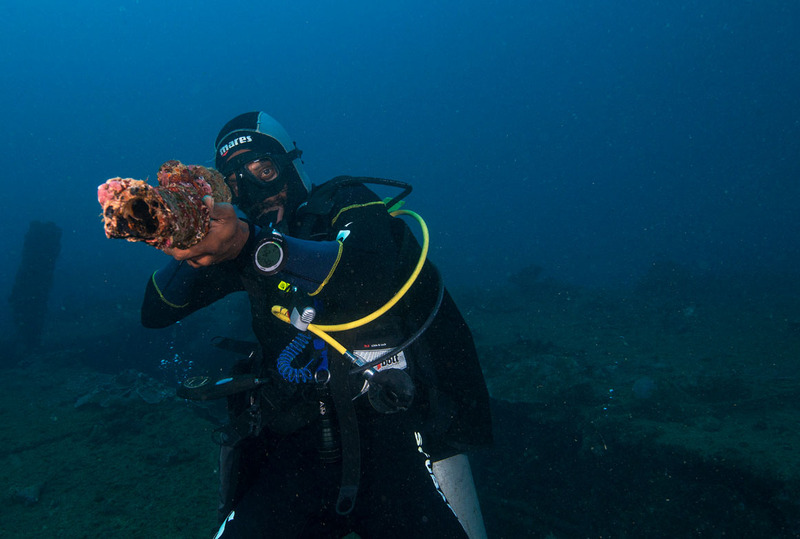 Contrary to popular belief, there’s more to diving Vanuatu than The Coolidge. Encircled by, and in common with, its Pacific Ocean neighbours Fiji, New Caledonia and the Solomons, Vanuatu has rich coral reefs, a wealth of wrecks, and some great snorkelling too. Vanuatu is an island archipelago consisting of approximately 82 relatively small islands. The main islands from largest to smallest are; Espiritu Santo (best known as the site of the SS President Coolidge); Malakula; Efate (home to the capital Port Vila); Erromango; Ambrym; and Tanna. The islands are volcanic in origin and as a consequence, Vanuatu’s shoreline is mostly rocky with fringing reefs and little continental shelf, dropping rapidly into the ocean depths. 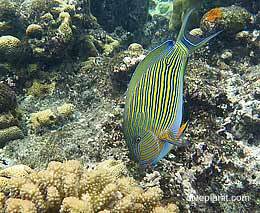 This gives rise to some exciting diving on reefs and walls, as well as some excellent snorkelling opportunities, particularly on Tanna. Vanuatu became independent as recently as 1980, being jointly administered by France and Britain, and named the New Hebrides prior to that. 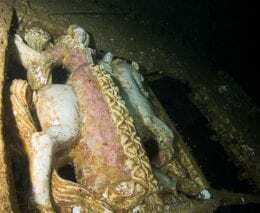 Being an allied territory, it supported a large American base during WW2, and we have them to thank for the wrecks of the SS President Coolidge, the USS Tucker and Million Dollar Point. The country has a very welcoming population, indeed both major cities Port Vila, the capital, and Luganville on Espiritu Santo, host cruise liner passengers almost continuously. There are plenty of places to stay, from modest family-oriented resorts to luxurious Iririki Island Resort as well as dive and snorkel oriented resorts such as Hideaway Island. Slightly north, and closer to Australia than Fiji, Vanuatu is just a 3-hour flight from Brisbane. Check the map top right. 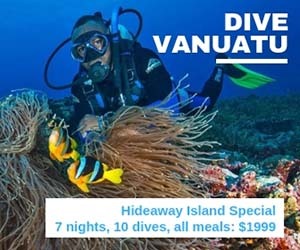 The main point to note when planning your trip to Vanuatu is that the main dive sites are on two separate islands which are flying distance apart. 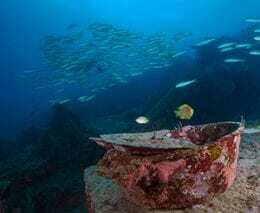 The SS President Coolidge and other great wrecks and reefs are on the island of Espiritu Santo. 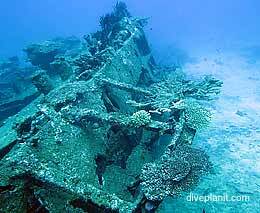 The other main area for diving is in and around Mele Bay on Efate, also home to the capital Port Vila, and the main, but not only, international airport. 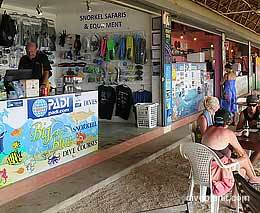 There are three operators in each of these two locations, as well as plenty of accommodation. Around Port Vila, take to the hills and enjoy the exhilarating Zipline, or a stroll through tranquil gardens. On Espiritu Santo, take a trip north to explore the island and its famous Blue Holes and beaches, or explore the Millennium Cave. On Tanna and Pentecost, there are two quite different options. Tanna is best known as the home to one of Vanuatu’s most popular tourist attractions, the Mount Yasur volcano. Considered one of the world’s most accessible volcanoes, Mt Yasur is just a one hour drive from Tanna’s White Grass Airport followed by a short 10-minute walk to the crater rim. 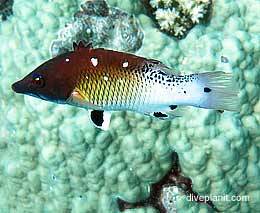 There is also some of the best snorkelling in Vanuatu to be had on Tanna. Note: Tanna is a completely separate island to Efate and Espiritu Santo and you’ll need to plan this into your domestic flight schedule. 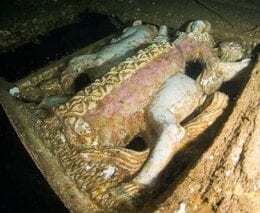 It is possible to visit Tanna as a day trip from Efate. Pentecost Island has become famous throughout the world for the land diving ritual (Nagol or N’gol) which occurs every Saturday between April and June. The ritual, which influenced the invention of bungee jumping by Kiwi AJ Hackett, sees local men and boys as young as seven jump from a 20 – 30 metre high man-made tower with only a vine attached to their legs. Note: Pentecost is a completely separate island to Efate and Espiritu Santo and you’ll need to plan this into your domestic flight schedule. 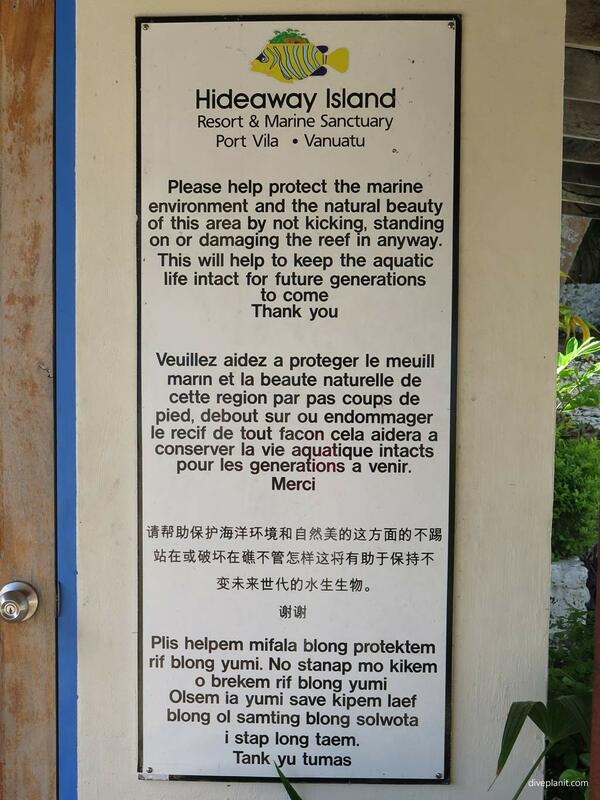 The overall feeling of Vanuatu is that it is very safe. The water is safe to drink everywhere. In Santo, thanks to the Japanese Hydro and diesel generators you can boil a kettle in a minute, though in Port Vila the advice was to ‘use only one electrical appliance at a time’. If there is air-con in your room you might be charged extra for it. There are no dangerous snakes, spiders or insects other than the mozzies but because of the high humidity and the fact that you’ll be seeking cool shade during the day they’re very brazen and only the uninitiated will not be wearing insect repellent all day long. Unless of course you’re in the Blue Hole or the deep blue or similar. It goes without saying that the sunlight is strong even when the sun isn’t shining so beware. We encountered a few cruise line passengers looking like that classic boiled lobster. Telecomms: Digicel-3 and TVL both have a booth at the airport but we were not able to secure a Nano SIM for the iPhone5 on the day. Suggest if you really need the mobile connectivity, book a SIM in advance, or buy a cheap roaming package. We managed with the resorts’ WiFi which is usually available around each resort’s lobby and restaurant areas as a minimum. There are plenty of places to change money at the airport and in town. The currency is the easily remembered Vatu – but even though I was there for two weeks I don’t recall spending a single Vatu as practically all establishments have EFTPOS – even down to a small pharmacy in Luganville. The drier cooler season is July through October. Obviously there’s a peak at Christmas and there seems to be a graveyard spot from mid-November to just before Christmas. 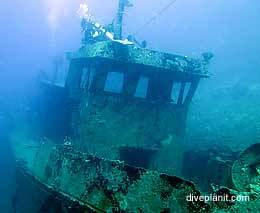 From a diving perspective this will ensure you get much more personal attention from dive operators during this time and fewer people on the boat, but sometimes that means that there are not enough people to make a particular dive site worthwhile for the operator. 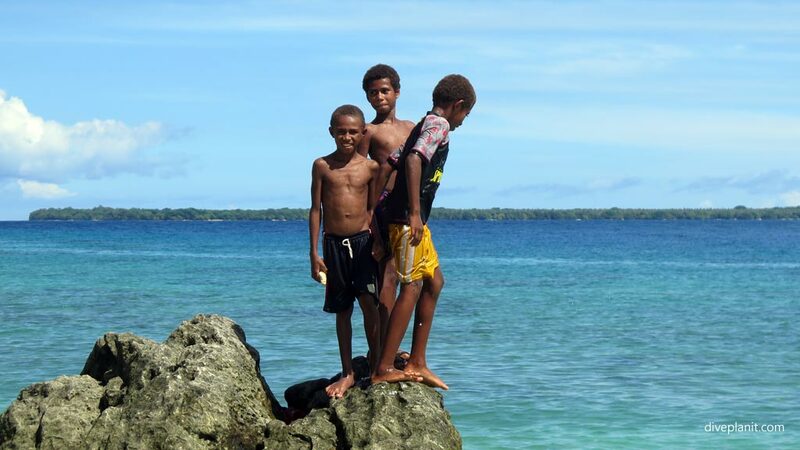 Vanuatu will always welcome new visitors, and when you’ve been once you will want to return. It’s very inexpensive once you’re there. I was completely underwhelmed by my Visa statement on our return – no transaction over $100! One final point: the language. Although English is spoken almost universally, the local language is Bislama. 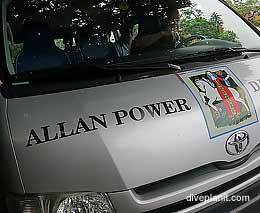 It is an English based creole language – a curious mix of phonetic English and pacific words. For example: ‘nambawan’ which means equally; ‘number one!’ and ‘the best!’ Look out for the local signs. Read the bottom paragraph first. It’s fun. Coffee – go local and asked for Tanna Coffee – i.e., as grown organically on the island of Tanna. It’s very smooth and it has not been over-roasted so there’s no bitterness. You can purchase it in a plunger or more often than not via espresso machine. ‘Long black’ and ‘flat white’ are part of the local vernacular so don’t be afraid to ask. Even in the rather unlikely looking kiosk in the domestic terminal I had one of the best long blacks I’ve had for a while. Beer: locally brewed Tusker and Nambawan both suit the climate and not too strong. Whisky and other hard stuff: freely available in the larger supermarkets and most of the major brands like Johnnie Walker Red are available at half the price of the Aussie duty-free shops. Here’s a link to the official Vanuatu Tourism website so you can discover what matters. 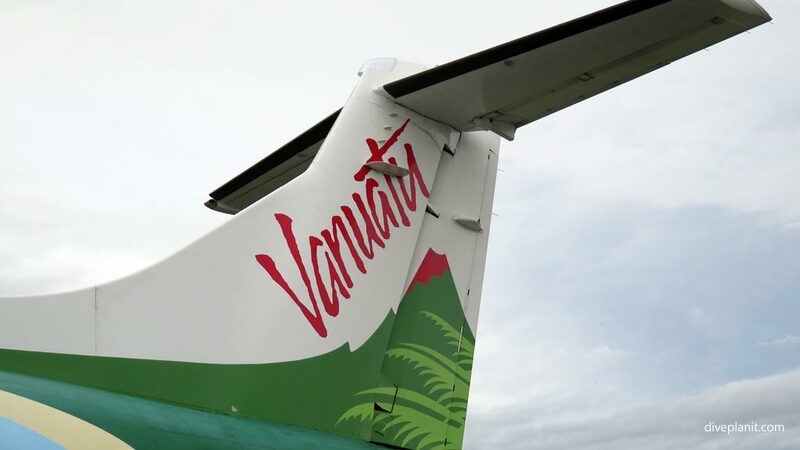 Air Vanuatu has direct flights to Port Vila from Sydney, Brisbane and Auckland, and direct flights to Santo from Brisbane. But not every day. 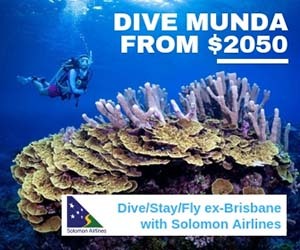 There are also flights from Nadi and Suva (Fiji), Noumea (New Caledonia), and Honiara (Solomon Islands) – but mainly via Port Vila – if you were thinking of taking in some of the neighbouring islands; but again, not every day. Put some effort into optimising your itinerary especially if you plan to fly to a number of islands; though there is plenty to do at each destination on your no-fly day.